At least… you can in roughly a months time. 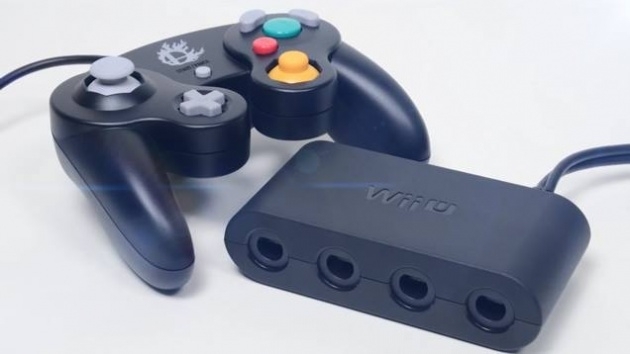 The GameCube controller adapter that is coming out for Super Smash Bros. for Wii U allows the controller to be used in any game that supports the Wii Classic Controller, Wii Classic Controller Pro, and the Wii U Pro Controller. Yes, that means you can play The Wind Waker HD with the exact same GameCube controller you played it with back in 2003. Even if that controller was a wavebird, those are supported fully by the adapter as well. In fact, with Wii U Pro Controller support (as in, it can replace it) it is safe to say the system that already supports the most controller inputs literally just got better. Nintendo is all about giving us as many controller options as possible. I don’t know about you, but this huge news. The sad thing is that it was hidden away on Nintendo UK’s webstore. You would figure this is a feature you would want to mention in a more public setting. Of course, this could all be a simple mistake, but it is stated pretty boldly for the world to see.